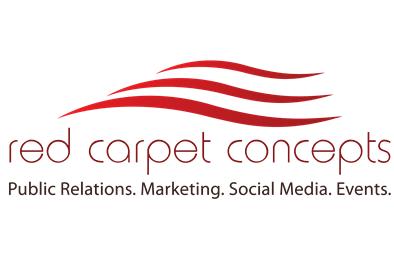 (Monday, 09 October 2017) – Bespoke communications, experiential marketing and events agency, Red Carpet Concepts, celebrates its 8th year running this September, 2017. Specialists in high end hospitality and luxury lifestyle brands, the boutique Cape Town based agency shows year to year growth in market share. With an exciting rebrand on the way, and the launch of the new digital marketing department, this 360-degree full service agency is setting precedence in its realm. Currently RCC is partnered with a bouquet of local and international top tier clientele from the $2 Billion Zanzibar Amber Resort in Tanzania, to Medici medical app in the States, the Cape Royale Luxury Hotel and Grey Boutique Hotel in De Waterkant, Piano Lounge, Sky Bar and Cocoon night club; MyUtopia premium yoga studio; Jekyll and Hide luxury leather luggage manufacturers to name a few. Curators of mega events, Red Carpet also orchestrates the Sanlam Top Destination Awards; annual Red Carpet Fashion Show; Wedding and Wine Show (launching 1 May, 2018) and a plethora of other prestigious festivals and functions underway including a travel and tourism expo and arts festival. #capetown, ambienzconcierge, ambienzexperiences, cape town, Luxury, Luxury Lodge, luxuryaccommodation, luxuryafrica, luxuryexperiences, luxuryhotels, luxurylife, luxurylifestyle, luxurymoments, luxuryrail, luxurysouthafrica, luxurytours, luxurytransportation, luxuryvillas, night life, social. Bookmark.